Past columns have portrayed Lorenzo - the ambitious oldest son of Amory and Mary Maynard, and also featured the diary of Harlan – the youngest son, who died as a teenager. What of William, the middle son? William was born in Marlborough, MA, sixth generation born in America. The family relocated to Assabet Village when he was 12. His great-grandfather had served briefly in the Continental Army, in 1775, qualifying William and descendants as Sons and Daughters of the American Revolution (organizations created 1889 and 1890, respectively). William married Mary Adams, literally the girl next door, in 1853. They had seven children and were married for 53 years before William died. Mary outlived him by 14 years. The two of them, three of their children and one grandchild are buried in a family plot in Hope Cemetery, Worcester. The seven children: Mary Susan, Amory (oft referred to as Amory II, which was confusing given that he was Amory’s grandson, not son), Jeanette, Lessie, Harlan, Grace and George (twins, born when their mother was 42). Jeanette, Grace and George are the three who are buried at the family plot in Worcester, along with Jenette’s son. William did not follow in his father’s footsteps as closely as Lorenzo. Throughout much of the 1860s, family letters to and from William find him living in Boston and working for at least some of that time for the Fitchburg Railroad. A letter from Charles L. Heywood, Superintendent, stated that his salary for 1868 would be $1500. This when a laborer's average daily wage was $2. Back in Assabet Village (not Town of Maynard until 1871), Amory built a house and Lorenzo did the same next door. The buildings still exist as 145 and 147 Main Street. In 1873 Amory built a mansion on the hill south of the mill, ditto Lorenzo, soon after. By then, William was back in Maynard, married and with seven children, living in a house owned by his parents. 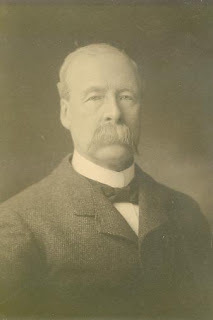 An important part of William’s life – a mystery on the face of it – is that in either in 1884 or 1885, age ~52, he and most of his family moved across the country from Maynard to Pasadena, California. At the time his oldest two children were married and stayed in Maynard, but the younger five went. Why Pasadena?!? One historical account mentions that William’s poor health forced his to resign in 1883 from his position as Assistant Supervisor, under his brother and father at the woolen mill. A good guess is William had tuberculosis. In that pre-antibiotics era, people with tuberculosis (“consumption”), were advised to move to places that had warm, dry climates. Pasadena back then a fast-growing town (1880 population 391; 1890 population 4,882) as it became nationally renowned for sanatoriums for sufferers from tuberculosis and lesser respiratory ailments. By the time William decided to travel west it was possible to make the 9-10 day transcontinental trip entirely by railroad. Within a couple of years William was healthy enough to leave Pasadena, first for Los Angeles (a phone directory lists his profession as “capitalist”), and then returning eastward, but to Worcester. There is a sense that he was supported by his father. That status soon changed. 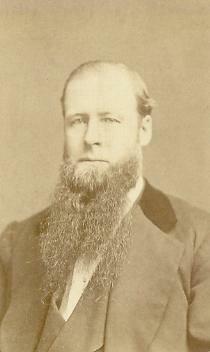 Amory Maynard died in 1890 without leaving a will. The estate most likely ended up being divided equally between Lorenzo and William. There is no record of the valuation of Amory’s estate, but upon William’ death in 1906 his will, filed for probate, describes a valuation of about $220,000. In inflation-adjusted dollars, a touch under $6,000,000. Interestingly, his will names his wife and six of their seven children as heirs, excluding Amory, his oldest son. William and Mary have living descendants. Daughter Lessie Louise married Paul Beagary Morgan, of Worcester, in 1893 and they had five children. 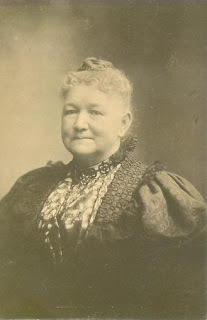 Son Harlan married Florence Smith in 1899 and they had six children. The generations alive today are the great-grandchildren and great-great-grandchildren of Lessie or Harlan. On occasion, a Maynard family descendant visits the town to have a family member’s cremation remains interred in the family crypt at Glenwood Cemetery. December 1906: “The will of William Maynard, late of Worcester, Mass, filed for probate disposes of an estate of several hundred thousand dollars. To his wife are given the furnishings in the Elm Street homestead and $50,000 to be her own absolute property. To the executors is given $150,000 in trust to pay the income during Mrs. Maynard’s life during her life and at her death to pay the principal in equal shares to six of his children. After this bequest, the residue goes to the children of the testator, Mary S. Peters, Jeanette Van Etten, Lessie L. Morgan, Harlan J. Maynard, Grace E. Maynard and George E. Maynard, to share alike.” Excludes oldest son, Amory Maynard. Assuming a total net worth of approximately $220,000 in 1906 dollars, inflation adjusted to ~ $5.7 million in 2018 dollars. March 1925: William H.K. Maynard, son of Lorenzo Maynard, and therefore nephew of William Maynard, died January 4, 1925, age 73 years. He had no close family, having no children, and his wife and four sisters having pre-deceased him. HK's estate was valued at between $700,000 and $1,000,000 ($10-14 million in 2018 dollars). HK's will left half to his sister-in-law and half to 23 charities. His cousins (William's children and grandchildren), who would have inherited in the absence of a will, sued to have the will overturned, arguing that HK was not of sound mind, and had been unduly influenced by his wife (who had died in 1919). The judge hearing the petition declined to allow the case to go to a jury trial.